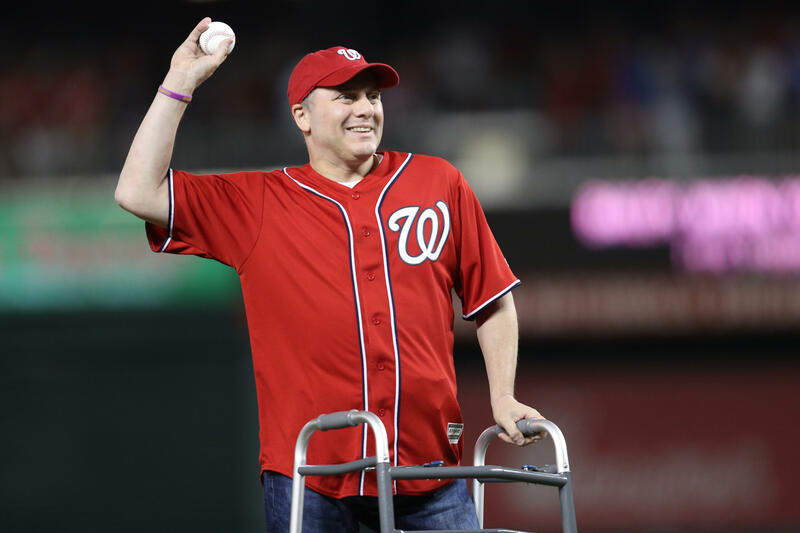 House Majority Whip Rep. Steve Scalise, R-Louisiana, made a remarkable return to a baseball field just one year after he was shot and severely injured during practice for the Congressional Baseball Game for Charity. Fellow Republican Sen. Jeff Flake of Arizona tweeted a photo of Scalise suited up in his uniform, throwing a ball at a D.C.-area ball field during practice for next week's matchup, writing "Steve Scalise back on the field this morning. This does my heart good." Scalise retweeted the photo, saying "Feels good to be back with the team!" The Republican was among four wounded when a rifle-wielding attacker opened fire on Republican lawmakers at an Alexandria, Virginia baseball field last June. Scalise later told reporters at the House GOP leaders press conference on Wednesday that he "felt great" after today's practice. Scalise suffered extensive damage to his hip, femur and pelvis, requiring doctors to virtually put him back together again in a series of surgeries. Also injured less severely were U.S. Capitol Police officer Crystal Griner, aide Zack Barth, and lobbyist Matt Mika. The gunman, James Hodgkinson, was shot on the scene and died from his injuries. Scalise called surviving a "miracle" in an interview with CBS News' "60 Minutes" last year, and expressed hope that some of the unity generated by the tragedy would continue on Capitol Hill. The Whip still currently uses the aid of crutches to walk, but in the photo they can be seen on the ground behind the congressman during Wednesday's practice. The annual Congressional Baseball Game has been a tradition in Congress for more than a century, pitting Republicans against Democrats. Last year's game raised more than $1 million for charity and set attendance records. This year's game will take place on June 14th at the Washington Nationals' ball park.